Superdry women's Scandi sports sweat dress. Style and comfort have been combined this season in the design of the Scandi sports sweat dress. 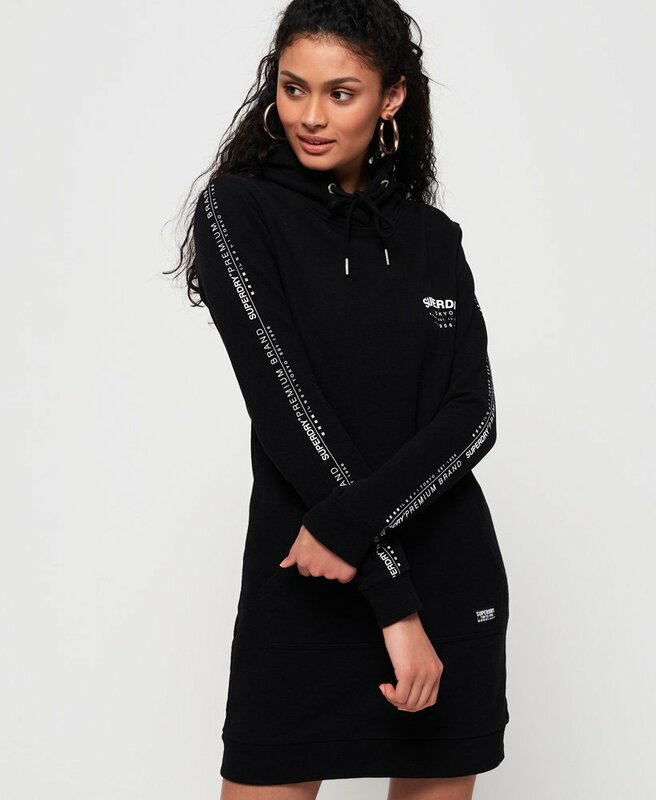 Crafted from lightweight, soft fabrics and designed in a relaxed fit, this sweat dress features a drawstring hood, front pouch pocket and logo graphic on the chest. The dress is completed with logo tape detailing down the sleeves,a large logo graphic on the back and logo badge on the pocket.